Wow! 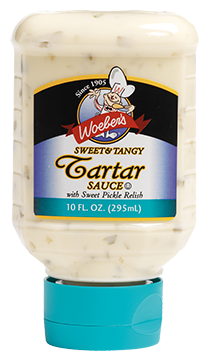 This signature sauce is the perfect complement to your cocktail shrimp. 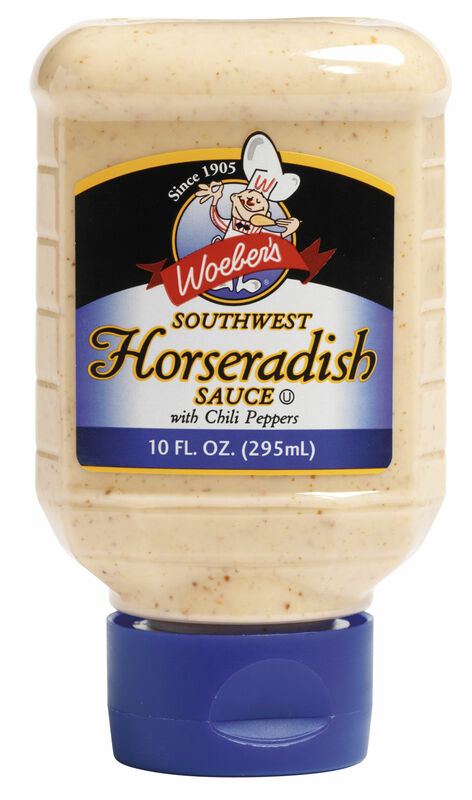 Freshly ground horserdish and our secret blend of seasonings makes this a powerful and traditional dip. 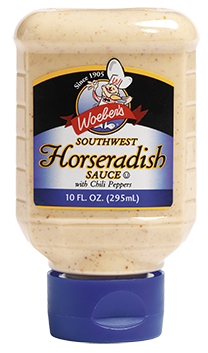 Fresh, stone-ground horseradish in a whole grain base..it’s bold taste and texture really hold their own with corned beef, sausages, cold meats, and pork. 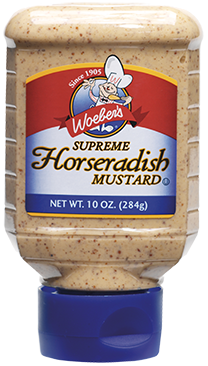 This unique and zesty mustard complements a variety of foods, from beef and poultry sandwiches to sushi and grilled fish. 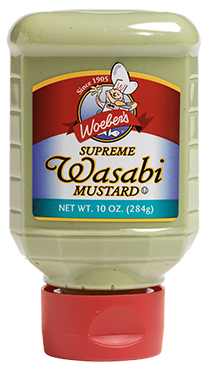 The bold flavor of wasabi is a powerful addition to any recipe. 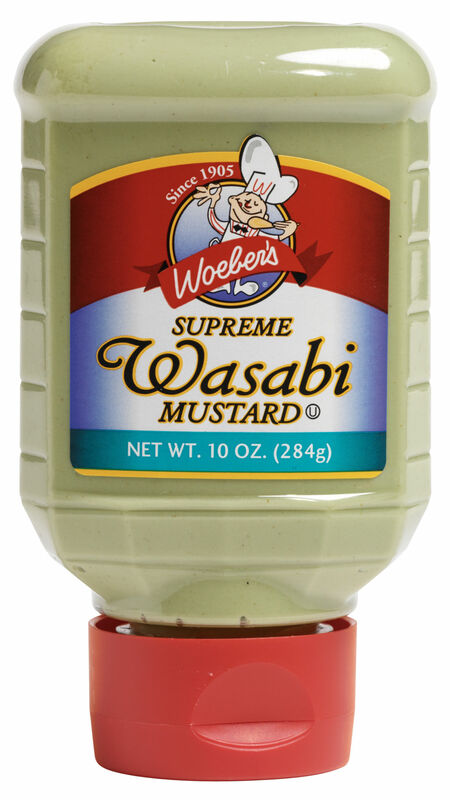 The right blend of seasonings and sweet pickles create this fabulous addition to the supreme sauce line. 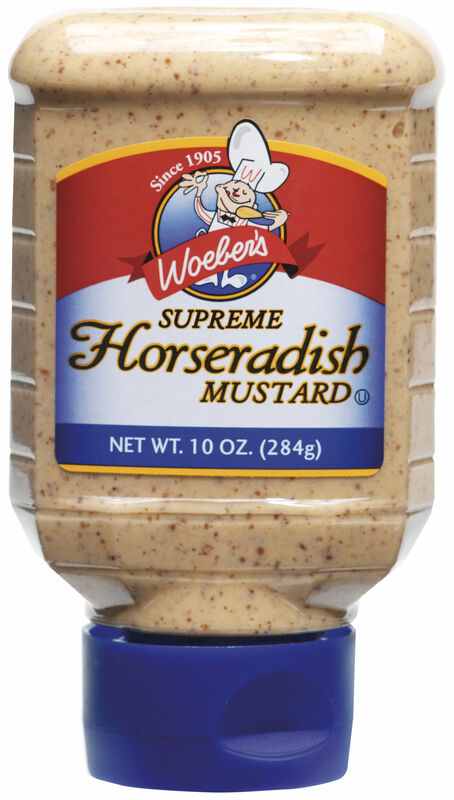 Fish sandwiches, fish sticks, fried clams, etc. 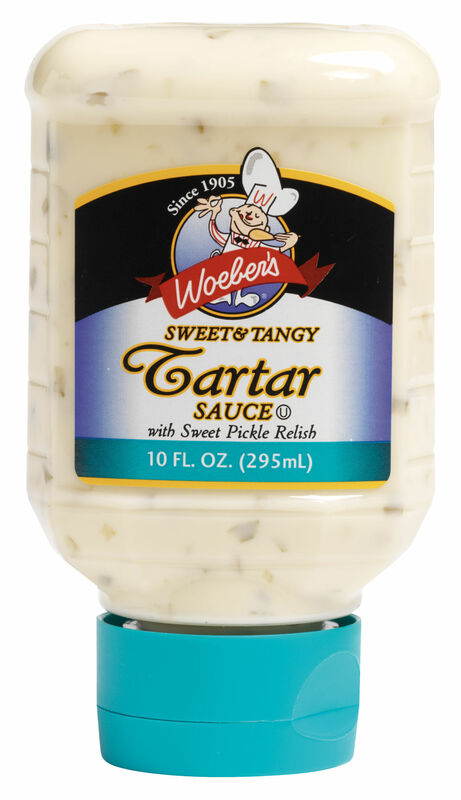 never tasted better with Woeber’s tartar sauce. 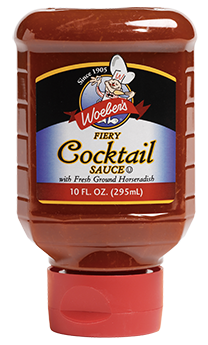 Hey Buddy!, I found this information for you: "WOEBER’S SUPREME FIREY COCKTAIL SAUCE – 10OZ". 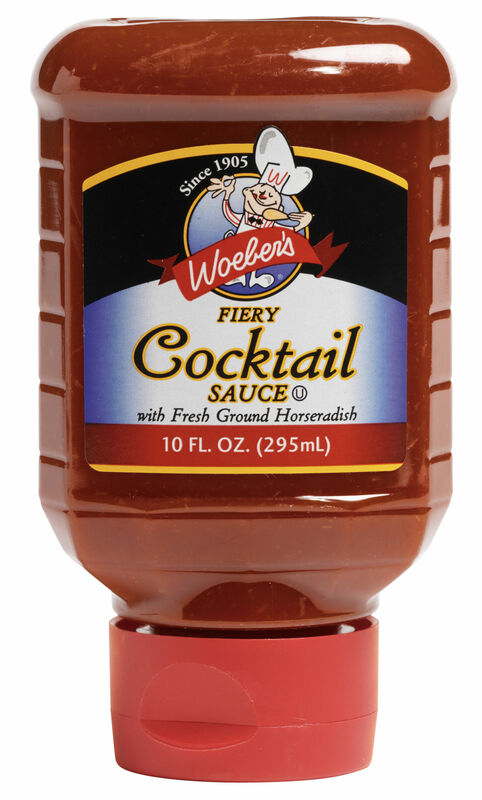 Here is the website link: https://www.woebermustard.com/product/woebers-supreme-firey-cocktail-sauce-10oz/. Thank you.